The fashion bangle presents associate awful sight with its fantastically embellished circumference adorned with red stones reticulated with gold plated brass metal patterns. 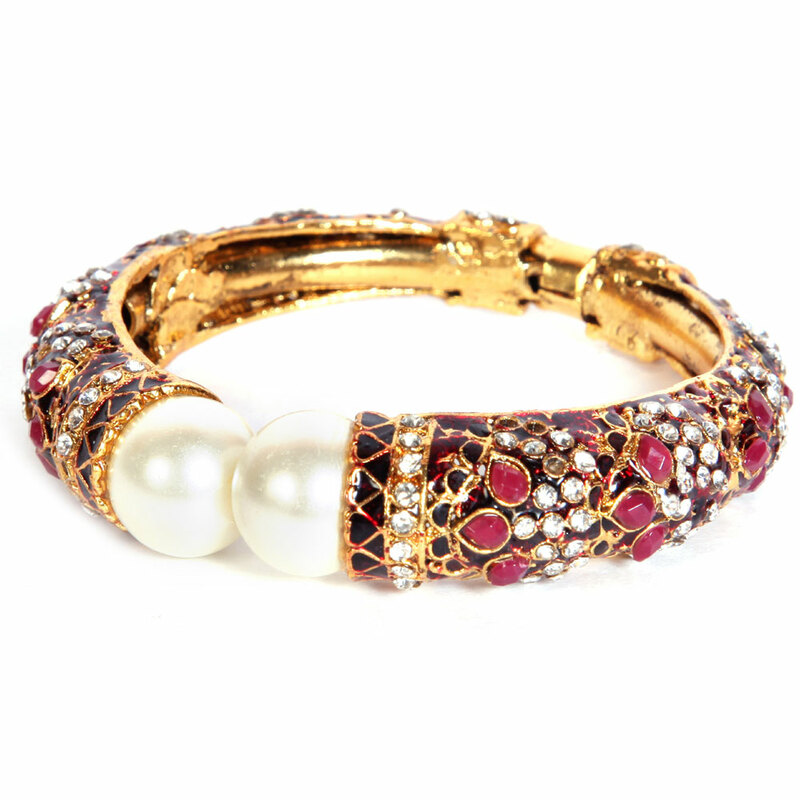 The fashion bangle presents an awesome sight with its beautifully decorated circumference studded with small white and red stones interlaced with gold plated brass metal Read More..patterns. The small teardrop shaped red stones that are placed at regular intervals around the circumference further enhance the beauty of this exquisitely designed bangle. Show Less..